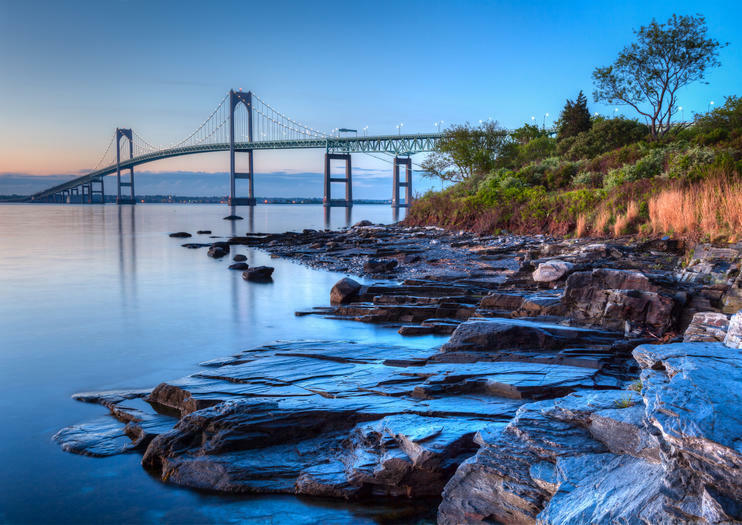 New England’s largest estuary, more than 12 million people visit Narragansett Bay every year. Covering just short of 150 miles, small parts of the bay extend into Massachusetts. Life in these parts seems to center around Narragansett Bay. Protected inlets and harbors create great conditions for sailing, fishing, kayaking and just about any activity that requires possibly getting wet. You don’t need to own a boat to get on the water. All sorts of recreational equipment ranging from canoes, to kayaks, boats and jet skis are available to rent. Narragansett Bay is home to marine mammals and more than 60 species of fish and shellfish, as well as more than 200 bird species. The average depth of Narragansett Bay is 26 feet (7.8 meters), but its deepest point, in East Passage off Castle Hill, is 184 feet (56 meters). Take in Rhode Island’s scenic shoreline on a scenic sightseeing cruise through Newport Harbor and Narragansett Bay. Aboard an open-air, fully restored lobster boat, enjoy a narrated tour as you pass Newport and Jamestown harbor fronts, and see landmarks like Fort Adams, Newport Bridge, and the famous Clingstone house. Your trip includes a complimentary Rhode Island-styled refreshment, as well as a cash bar.